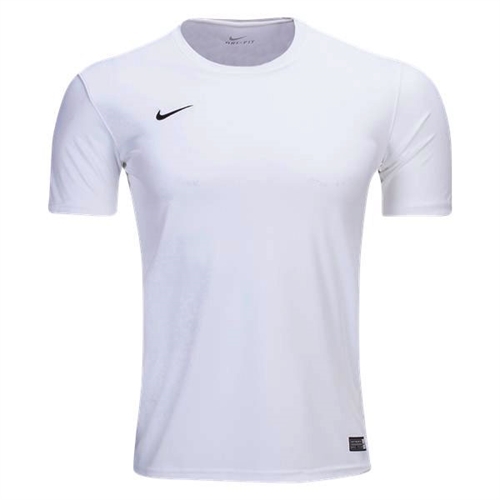 Description: Our Nike Tiempo II Jersey - White are short-sleeve jersey with rib v-neck with overlay at center front. Set in sleeves. Mesh back panel. Elasticated back neck tape. Embroidered Swoosh design trademark on right chest. Woven label on lower left hem. Dri-FIT logo on lower right hem. Nike Tiempo II Jersey - White are made for soccer players. Mesh back panel. Elasticated back neck tape. With Dri Fit Technology.